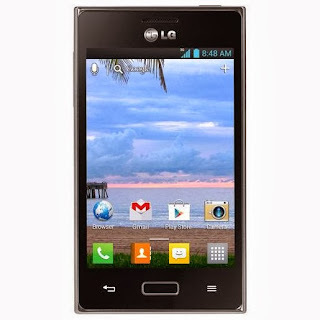 The deal of the week is the manufacturer refurbished LG Optimus Extreme Android 4.0 phone for NET10 for $39.99 at ShopCellDeals. New, the Optimus Extreme sells for $149.99. The Optimus Extreme runs on the AT&T network and has a 4 inch Screen and a 5 MP camera with flash and auto-focus. Verizon Prepaid Online only. Free shipping, free activation on monthly plans. Can you use the net 10 optimus extreme on straight talk sim card program? Officially no, but some of the other NET10 Android phones have worked with StraightTalk BYOP SIMs so it might work. I'm sure it's SIM locked. It *MIGHT* be possible to use a Straight Talk SIM but any other MVNO is probably not possible. Locked as in you can't change the pan? I think net 10 and straight talk use the same Apn,maybe? All the AT&T MVNOs have 4G HSPA+. Only Straight Talk and NET10 have LTE. Best value depends on your usage and tolerance for lousy customer support. Best value if you need unlimited voice and messaging combined with a sizable amount of high-speed data: Airvoice $30 for 100 MB, $40 for 1 GB or $60 for 3GB, Straight Tak 2.5GB for $45. H20 $25/month plan is best value for some moderate users. 2.5c/min or sms; 10c/mb for data. Tmobile 16gb iPhone 5 is $50 less at Walmart. Upgrade to the 64gb ST iPhone 5 and get one month of service for only $5 more than the 32GB model. Typo. I meant $50 more for 64gb model. Extra $50 discount. Actually they do although it's throttled to 8 Mbps. Aio is not a MVNO. Tmobile now offers the Alcatel ONETOUCH Evolve with 4.1 JB for $160.